The Downgrading of the Free Church – A Response to Donald Macleod. It does seem to me a bit of a storm in a teacup and a distraction from the work that we are supposed to be doing – but it is always the little foxes that spoil the vineyard. And Donald has certainly set a few of them running. Already there have been those reposting and endorsing. One comment from a Free Church minister described it as ‘timely, clear and correct’. Part of Donald’s brilliance is his rhetoric. The trouble is that in this article, although there is much to agree with, there is also misrepresentation, exaggeration and what can only be described as a somewhat cavalier approach to logic – as the following examples show. Incidentally I should point out that I have no problem with Donald disagreeing with what I think about infant dedication – it’s the manner in which he does so and the fact that he uses this as a springboard to a dozen other complaints. Lets have a look at some of the questionable assertions. (Can I also apologise for the length of this – I don’t have Donald;s facility with words and I like to be as fair and rational as possible and think things through as I write – so get yourself a coffee and enjoy the ride!). 1) For many years there have been signs of growing unrest in Presbyterian circles over the question of infant baptism. Is this true? Perhaps Donald moves in different circles to me but he offers no evidence for this bald assertion. As someone who is involved as a minister at the coalface I am not remotely aware that this is the case. Of course there have always been questions about this doctrine that Christians have disagreed about for centuries. Including in the Free Church. I remember the late great Douglas Macmillan taking a year to consider the question because he was having his doubts about infant baptism (he managed to resolve the issue). I also recall a couple of Lewis elders (worthies who were deep theologians and godly men) who thought that infant baptism, especially as practiced in the Lewis Free Church, was wrong, but they just went along with it. One respected elder even told me that he thought it was nonsense. I have to say that as a student at the Free Church College I found this lackadaisical attitude to an important part of the Churches teaching quite disturbing. But in recent years I have not noticed an increasing unrest about our practice or amongst our people. Indeed the opposite. There is a growing confidence in Reformed covenantal theology. Which is why in my congregation there are many people who have moved from a Baptistic to a paedo-Baptistic position. I suspect that Donald’s observation is more a product of his own fears rather than a reality in the church. Or it may just be that he is making this statement as a rhetorical device in order to heighten the concern that somehow we are losing our grip on our doctrine. This is an unwarranted and somewhat dated assumption. 2) Those of us who do occasionally have an infant dedication service do so in order to appease upset Baptists. He says that there are two reasons why we have infant dedications. – Firstly because there are a growing number of people of Baptist persuasion in the Free Church and we are tempted to do ‘whatever we can to hold on to them’. Secondly we hope to attract such people – especially students – who are offended by what they see as the meaningless rite of sprinkling infants – but then find themselves staying on in our churches after study and who pressurise us poor ministers to have infant dedication services. Donald’s theory is neat and plausible. The only problem with this analysis is that it is not true. It’s just a motivation he has made up. He has no evidence at all for his assertions. I have been involved with students and in a ‘student’ church for 25 years. The vast majority of our students (90%) are not from a Free Church background. We currently have around 60. In 25 years of student ministry I have yet to hear of one who is ‘offended’ by infant baptism. If such people exist they tend to be older people with a desire for denominational distinctives and a complete lack of understanding of what baptism is. Again his statement/accusation is one that is out of touch with the reality on the ground. He also does those of us who minister in these situations a great disservice by attributing to us motives we do not have. Actually let me rephrase that. I cannot speak for others because I don’t know their motivation and haven’t actually spoken to anyone else who does this. I doubt that Donald has spoken to them either. I suspect he is just speculating about the motives. But I will speak for myself. I have already written about this and made it perfectly clear what our motivation is. Either Donald hasn’t read the article he is speaking about or he doesn’t believe me. For Donald to accuse us of just doing it because we are pressured to do so and because we just want to water down Presbyterianism in order to build our congregations is not helpful or honest. What Donald does here is an unworthy rhetorical device – making up your ‘opponents’ motivation/arguments and then arguing against what you have made up! 3) Infant dedication is “rejecting the whole Reformed doctrine of worship” and will inevitably lead to a return to the pre-Reformation worship of saints, angels and the Virgin Mary. This is another rhetorical trick. An ad hominem which he is only able to make by misrepresenting what we are doing. It’s not a new ‘liturgical rite’ and no more an element in the corporate worship of God than communion seasons, question meetings, fast days, precentors, and children’s talks. Some of these Donald likes, others he does not like. But why should my conscience, or the church’s practice be bound by another mans’ personal likes and dislikes? Remember what we are talking about here – parents publicly promising to bring up their children in the love and fear of the Lord. Parents publicly acknowledging that their children are a gift of God. Is there scriptural warrant for having parents bring their little children to Jesus? Of course. Mark 10:13-16 tells us that parents brought their little children to Jesus to have him bless them – they were not coming for circumcision or baptism. Jesus did not give these parents a row because they were undermining the covenantal doctrine of circumcision. No he ‘took the children in his arms, placed his hands on them and blessed them”. But he did give a row; to the disciples who rebuked the parents for bringing their children. If it’s good enough for Jesus to bless the children then I would suggest its good enough for his church! Not for the first time in the article Donald seems to contradict himself. He acknowledges that all such infants are already members of the church by birth, holy and belong to God. So what precisely is the problem with the parents and the church publicly acknowledging that? How is this leading to Romanist worship and a betrayal of Reformed worship (always a handy emotive card to play if you want to influence people)? Apparently it is because of the rejection of infant baptism. But we don’t reject infant baptism. We explicitly teach it and encourage parents to have their children baptised. But we cannot compel it for parents who do not think it is biblical. What is not of faith is sin. Again the proof of the pudding is in the eating. Rather than lead to a watering down of Reformed theology this pastoral and compassionate approach to children and their parents, leads to more and more accepting it. Every year St Peters now has several infant baptisms – because more and more people are coming, and becoming convinced of our covenantal position. 4) Infant Baptism is a Fundamental Doctrine of the Confession that all members of the Free Church must accept. Once again he exaggerates in order to make an emotional point; he declares that every service, which includes infant dedication, is ‘an explicit protest against infant baptism’. As someone who has been involved in these I can say that it is neither an implicit nor an explicit protest against infant baptism. None of the parents who have had their children dedicated are ‘protesting against infant baptism’. If they were I would simply ask them to go to a Baptist church where they would be happier. Most accept that infant baptism is what we do but can’t themselves see it as biblical. If, as Donald states, infant baptism is not optional for Christian parents and is something that no parent has a right to omit, then that raises profound consequences for all our congregations. If omitting to baptise your children is a sin then any parents who don’t baptise their children cannot be in membership in the Free Church. I suspect that Donald does not wish to go this route and that he is really using such hyperbolic language to make a point and because he is fearful, or wants to stir up fear, that somehow the Free Church is on a downgrade. One of the great things about the Free Church is that we are not an independent church where the members vote on doctrine. When I became a member in Buccleuch I told Mr Ross, the minister, that I didn’t believe all that nonsense about infant baptism. He laughed at my arrogant remarks and said that that was fine, because the Free Church did not require its members to sign up to all the doctrines of the Westminster Confession. (by the way I should point out that I do now believe it and that I am not a Baptist mole in the Free Church, or even as I once heard, a Jesuit trained plant!). We just had to be Christians whose lives were consistent with our profession of Christ. Doctrine is determined by the elders and courts of the church. This gives a great freedom. It allows Baptists, Charismatics, Catholics and people of all different backgrounds to belong. I found, and still find, this a liberating and inclusive way to look at church membership. Donald’s approach is a much more fearful and exclusive approach. He and others who have posted about the same subject are afraid that we will turn away from our Reformed theology and as one man puts it ‘sell the family silver’. There is always the danger of us moving away from the Word of God, but I don’t think allowing parents to dedicate their children is evidence of that happening. In fact it is precisely because I have confidence in the Reformed view of the Bible and the covenantal understanding of baptism that I feel free to accommodate and help those who don’t share entirely that perspective. I’m not afraid of them and I don’t think that allowing them to do something that is biblical is a threat to me or to the theology of the church. We are a wee bit more robust than that! He argues that infant baptism is a ‘fundamental element of the Confession to which all Presbyterian elders have sworn allegiance’. Again Donald should know better. He himself has been the victim of those who are quick to play the ‘you are breaking your ordination vows’ card. And the statement itself is questionable and rather poor theology. Which doctrines are ‘fundamental elements’ and which are not? Who gets to decide that? As an office bearer I uphold all the doctrines of the Confession – including infant baptism. But the Free Church has in some areas (especially Lewis and the Highlands) operated a policy which is in contradiction of that. Following Kennedy’s lead it has been argued that the qualifications for the sacrament of baptism are lesser than that required for communion. Thus we ended up with the situation where in areas where the Free Church was de facto the parish church or sought to be, children of non-believing adherents who would not have been admitted to communion, were baptised. One minister told me that the main reason for doing this was simply that they did not want to lose their adherents to the Church of Scotland. Another told me that he would baptise anyone who asked. The elders I mentioned above spoke of how they regarded this practice as farcical. I remember one case where we refused baptism to a non-believing adherent and they just went to another Free Church where their child was baptised. I believe that it is this policy that has done far more to undermine the practice and the biblical understanding of baptism, than any infant dedication service ever has or will do. And yet I cannot recall Donald Macleod writing against this all too common practice. Why? If his concern is confessional adherence and uniformity of practice why the silence? I don’t agree with this ‘half-way’ covenant position and maybe Donald doesn’t either. I don’t think it is consistent with the Confession or the Bible – but I don’t agitate to have those who do it disciplined or accuse them of being independents who are just going their own way. We have an honest disagreement and as far as I am concerned there is room for us all in the same church. As long as they don’t require me to do the same thing. I wish Donald would learn to show the same level of tolerance and respect. Another misrepresentation is his claim that we are ‘putting something else in its place’. This is again just not true. Infant dedication does not replace baptism. We make perfectly clear that infant dedication is not infant baptism – that the child does not become a member of the congregation and that they will still have to be baptised if they are to become so. 5) Those who allow Infant Dedication are acting like Independents, choosing our own creed and adopting a form of worship that tickles our fancy. “We are Presbyterians, united by a common Confession which ensures that the same gospel is preached from every pulpit, that the sacraments are administered in the same way in every congregation, and that the work of local kirk sessions is reviewed regularly by the wider church through presbyteries and general assemblies.” Amen and Amen. But why state that except to say that those of us who don’t agree with his particular views are not preaching the same gospel, administering the same sacraments or opting out of Presbyterian government. Its emotive rhetoric. Slanderous, insulting and wrong. As is his accusation that we are ‘post-modern’ Presbyterians who think the WCF is just one option amongst many. I answered yes to the following question. – “Do you sincerely own and believe the whole doctrine of the Confession of Faith, approved by the General Assemblies of this Church, to be the truths of God, contained in the Scriptures of the Old and New Testaments; and do you own the whole doctrine therein contained as the confession of your faith?”. I meant it. I take my vows seriously and do not appreciate being accused of breaking my ordination vows and not holding to the Confession as my own Confession of faith or as one of many which I can pick and choose from. Donald himself has advocated positions that were not the norm in the Free Church and has been attacked for doing so. I have defended his right to do so even when disagreeing. I wish he would extend the same courtesy to others. 6) Baptists and those of Baptistic conviction within the Free Church are agitators who stick rigidly to their own principles. In my experience those of Baptistic conviction in my own congregation don’t ‘agitate against our own Confession either by divisive debate or by public demonstration. I have yet to see any demonstration in any Free Church against infant baptism. As for divisive debate it appears that Donald in his blog is doing just that. Why does he feel the need to interfere in others work and stir things up? Donald also displays his lack of understanding of what is going on in Baptist churches. He writes “On the contrary, they stick rigidly to their own principles, insisting that no one can be a member of their congregations unless baptised as an adult, and by immersion. “ There are Baptist churches that hold to the position he states but there are increasing numbers who have or are changing to allow paedo-Baptists to be members. I think for example of Central Baptist in Dundee where my friend Jim Turrent and his congregation permit paedo-Baptists to join as members. Doubtless there will be those who accuse him of a downgrade and selling the Baptist family silver! 7) Those of us who permit infant dedication are seeking to grow our congregations by proselytism and not evangelism. Apparently we don’t have a ‘well-focused desire to extend the Kingdom of God by drawing sinners to Christ.instead we just want to expand the numbers sitting on Free Church pews by attracting Baptists’”. Whilst I am delighted that Donald places such an emphasis on churches gearing what they do towards evangelism and that he acknowledges that we might have an interest in drawing sinners to Christ, I am disappointed that he once again just makes up our motivation. According to his view the only reason we have a dedication is to attract Christians of other traditions. That is not my interest at all – any more than introducing hymns and instrumental music (something which Donald supported) was done in order to attract ex-Church of Scotland people. As someone who is what Donald seems to regard as an aberration – a minister who is also an evangelist and thinks that this is part of the responsibility of the modern minister in Scotland today, it is depressing that Donald thinks that I am seeking to grow St Peters by proselytism. It is bad enough when enemies outside your church accuse you of that – but having someone within make the same accusation just hands them ammunition. And it’s worse when it is an untrue accusation bourn out of speculation and ignorance. 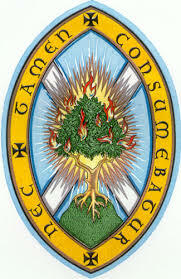 8) Infant Dedication is an attack on the Highland Free Church. This is a rhetorical ‘victim’ card that Donald plays frequently and which is beginning to wear quite thin. Its time for the chip to come of that shoulder. The narrative is this – We are regarded as dumb Highland teuchters who need to come into the modern era – when the truth is we are just being robustly reformed and holding on to the faith of “the distilled wisdom of the greatest intellects and the most spiritual minds that have ever graced the Christian church.” Again this is so out of touch with what is happening on the ground. The Free Church is generally no longer regarded as an ethnic Highland religion tottering on the brink of distinction”. We are a growing and developing denomination – throughout Scotland. By defending a position that no one is attacking Donald is again just seeking to stir up the emotions of what he considers to be his base and once again wrongly attributing motives to those he does not agree with. By perpetuating the myth that the Free Church is basically Highland he doesn’t do us any favours at all. 9) This is a downgrade in the Free Church which, (along with all the other things he doesn’t like), will lead us to disappear into ‘a shallow Evangelical mainstream’ where we no longer discuss the deep mysteries of the Christian faith. Quite how he makes the illogical leap that dedicating a child will eventually lead to the annulling of theological discussion is beyond me. So far that devilish plan does not seem to have worked! As for the somewhat catty side swipe about the lack of theologians today – its again not worthy of a great theologian. Does Donald really believe that none of us are engaged in, or capable of theological thinking? The irony here is that Donald has spent most of his illustrious career training us to be theologians. Is he admitting that he has failed and hasn’t managed to produce a single theologian?! Later on he makes another one of those throwaway remarks which are quite depressing. He claims that part of our road downhill towards ‘’broad evangelicalism’ are those “ministers trained by apprenticeships rather than educated by a rigorous theological curriculum”. It’s again an exaggerated, misrepresentative and illogical remark. Being trained as an apprentice is not a contrast or alternative to a rigorous theological education. Those I know who have taken that route do the full ETS course and end up being much better trained because of their hands on training as well. Donald needs to stop for a moment and reflect how his ‘rigorous theological training ‘ has managed to produce a Scotland in which he doubts that any minister is theological? He also needs to reflect on the casualty rate amongst ministers (of the six in my year who graduated from the Free Church College only two of us are left in Free Church ministry) and why the Free Church College only a few years ago was down to one Free Church student being trained for ministry. Robin Sydserff of the Bonar Trust, Cornhill, Paul Clarke of St Andrews and others have much to teach and help us in how we train our ministers more adequately. This is a more rigorous theological training, rather than a lesser one. We cannot allow our theological training to be fashioned by the false images of the past or irrational fears about the future. We should be thankful for the developments in ETS and hope and pray they continue. His example of Paul descending from the mountain-top and reflecting on food offered to idols is fine rhetoric but poor theology. The example Donald uses goes against his ‘purist’ position. Paul was arguing for tolerance and difference of practice (1 Corinthians 8) – especially for those who did not grasp that meat offered to idols was nothing. Which is precisely what I am doing on the question of infant dedication. There are those who don’t grasp and understand the biblical reasons for infant baptism, but who nonetheless want to dedicate and bring their children to Jesus – so I accommodate the ‘weaker’ brother. I agree that we should be on the Mountaintop discussing the great doctrines of Christ, something that Donald is unsurpassable at. I wish he would stay there and not descend into the gutter in order to take out his frustrations about whatever is annoying him that particular day. There are those of us who are trying to put these marvellous doctrines into practice and to communicate them in mess that is modern Scotland. It doesn’t really help to have our own side snipe at us from the sidelines. He makes a good and right case for children belonging to the church and the Lord and receiving the covenant sign. I don’t disagree with that at all. In fact I teach it. However he then makes another couple of assertions which are to say the least disputable. Firstly he seems to imply that those who don’t baptise their children cannot expect the covenant to be honoured. Although to be fair to him it is unclear whether he is speaking about baptism or teaching our children. Either way, (and I may be wrong on this as I may be wrong on everything else) it reads to me as though he is trying to guilt trip parents. I’m not sure that is the best approach. Then he makes a claim about the children of believers that is fascinating and deserves a wider look. Children are the natural branches of the New Israel, from whom will come ‘the vast majority of the next generation of believers, by their loyalty the church will grow, and by their witness the world will be evangelised’. It’s a nice sound bite but I just want to know how has it been working. I assume this is the principle on which Principal Macleod and the Free Church have been working for the past 50 years before all these ‘modern’ things came along? Has the Free Church retained its young people? Have they gone on to grow the church and evangelise the world? In 1945 the Free Church and the ‘Liberated’ Churches in the Netherlands both had around 20,000 members, adherents and children. In the year 2000 I did a wee bit of research and discovered that whereas the Free Church had halved to 10,000 the Liberated had gone up to 120,000 plus. Why? What was the difference? It was not that the Liberated were better at evangelism, but rather that they retained their young people whilst we leaked ours like a sieve! When I went to Dundee in 1992 I eventually found around 20 children of Free Church office bearers – only one of whom attended the Free Church, and most of whom attended no church. These were children of office bearers – not just ordinary members. Another research project I did found that between 1990 and 1994 the Sunday schools in Lewis declined by 25%. Yet another found that of 40 baptised children in one Sutherland Free Church – only one was still in the Free Church. It appears that the model advocated by Donald is fine in theory but hasn’t really worked out in practice. 11) Sunday Schools can produce mature biblical, historically and theologically knowledgeable young Christians. Donald argues, again without evidence, that our current thinking in the Free Church is to avoid rigorous Sunday School education. He seems to think that calling something ‘Junior Church’ is evidence of this downgrade and that nowadays it’s all about fun. Again I have to ask what experience Donald actually has of contemporary Free Church Sunday schools? The notion that our Sunday schools are just about having fun and not rigorous education is an unfair statement based more upon prejudice and preconception rather than any actual knowledge of what is happening. It may be true in some cases and false in others – but it is the kind of broad sweep general argument that appeals to the keyboard theologians and demeans and discourages those who are actually out there trying to teach the children. Apaprently Free Church Sunday schools are expected to deliver as rigorous an education as day schools, so that our children can be conversant in the bible and in Scottish church history. He suggests we are ashamed of our Protestant past – and that this is because of chronological snobbery. This is yet another complaint without any evidence. The fact is that no Sunday school for half an hour a week can deliver the kind of knowledge and learning required. If as Donald correctly states the religious education of our children cannot be left to state schools, then why, as far as I know, has he never supported the setting up of Christian schools? To believe that a half hour lesson once a week is sufficient to educate our children in the bible, theology, church history and a Christian worldview is a delusional fantasy. Much more radical thinking is required. Instead of wasting time moaning about parents bringing their children to Jesus to have him bless them, why don’t those who are concerned about the education of our children start putting their considerable talents and resources into doing something practical about it? And then there is another contradictory and bizarre dig. What is the failure? Having to tell the page number or using pew bibles? Earlier Donald had moaned about not reaching non-Christians, but surely if non-Christians are coming into our church services it is a very good idea to give out the page number and to provide a pew bible? I know that in St Peters, the reason for giving the page number and providing bibles is precisely because we expect non-Christians to be present. This expectation seems to be foreign to Donald. And here is the difference in reality between our two positions. Whereas he sees the need to provide page numbers and bibles as a downgrade indicating that Free Church members don’t bring their bibles or don’t know where the books of the bibles are, I see a different picture. I don’t expect to have a church where only those who have and know the bible are present. I am thrilled when I meet someone who asks ‘where is Genesis’? I love having non-Christians in church, and Christians who have been starved of good bible teaching. It’s an opportunity not a threat. I don’t agree that the Free Church is my mother church. This is a narrow and somewhat sectarian view of the church. The mother church is the church of Jesus Christ, through all ages and throughout the world. I will never call any denomination my ‘mother’. I think in his paragraph at the end we are really getting to the nub of what has irked Donald. It’s not really about infant dedication. That’s just a good peg on which to hang all that he considers to be wrong in the Free Church today – which he seems to fear is now moving beyond his comfort zone. As the Free Church grows and develops we are all going to find ourselves being challenged to move out of our comfort zones. The sad thing is that Donald is right to warn about a downgrade in our theology – an ever-present danger in any church. He is just looking for it in the wrong place. There is a rather strange phenomenon that I have observed in the Free Church – those who are ecclesiastically very conservative and theologically quite broad. Those who would have a fit if anything was changed about the liturgy but don’t bat an eyelid when someone says they see nothing wrong with women ministers, or universalism or having joint services with Roman Catholics. There are those who are not convinced of infant baptism at all but would share Donald’s horror at a child being dedicated because ‘its not Free Church’. Well with all due respect that is a narrow, unbiblical and sectarian position. I’m with Chalmers – ‘who cares for the Free Church compared with the Christian good of Scotland?’. There are also those who in theory like change and like to speak about it, but when it actually happens they are unhappy and threatened. Why? Maybe its because they now have to put into action their words and live with the consequences of them. Armchair radicalism is easy – getting your hands dirty isn’t. When we faced the issue of instrumental music and hymns in worship there were those who were in favour but when it happened, complained. And there were those who were against, but not because of any biblical reason; they just bought into the ‘its not Free Church’ or the slippery slope argument that Donald uses here…’once you sing a hymn you’re on the road to Romanism’! Finally this may be a small thing and I hesitate to question the theology of Scotland’s top theologian but there is something wrong about the statement that Donald is more assured of Spurgeon’s place in heaven than he is of his own. I know that it is a humble statement which seeks to avoid the charge of attacking Baptists but on what is it based? My place in heaven is as assured as Spurgeon’s if I have faith in Christ. It does not depend on my holiness, goodness, gifts or works. It is surely correct to say that Spurgeon’s works, gifts etc. are greater than my own. But it is bad theology to say that either mine or Spurgeon’s or Donald Macleod’s place in heaven is dependent on anything other than the mercy and grace of Christ. In that sense I am as assured of my place in heaven as I am of Spurgeon’s. Speaking of which I have a higher view of Spurgeons theology and ecclesiology than Donald puts forward. He says that Spurgeon could never have been a Presbyterian. Why not? If Spurgeon became convinced that infant baptism was fine I am sure he would have been prepared to change. As would I if it were the other way round. Donald seems to be working on a cultural/genetic view of the church and denominations. I don’t accept that at all. Is Donald’s blog ‘timely, clear and right’? From the above – if you have managed to read this far, you will see that I don’t think so. Indeed precisely the opposite. It is untimely, confused and wrong. There will be those who read his blog and immediately repost and start talking about the downgrade in the Free Church. Ironically they can’t see that what they are doing is contrary to the very Reformed ecclesiology and theology they purport to defend. Instead of dealing with things through the church courts they have church discipline by social media! They undermine the very church and theology they say they are defending! Meanwhile others read Donalds post and and thank the Lord that they are not part of such a narrow and petty church. (Some who are have already contacted me and said how discouraged, misrepresented and wounded they have been by Donald’s intemperate remarks and the gleeful follow up from others). I hope that my response helps you. I don’t believe that Donald’s approach is indicative of the Free Church today. It is outdated and unhelpful. I realise that there are some who pine for the good old days (when we were dying slowly) and other young Turks who have gone the whole young, restless and truly Reformed route and will be taken in by the rhetoric, but we will not be heading down that route again. And in case you fall for the ethnic trap laid by Donald (this is a Highland thing and the Free Church is Highland), let me tell you where I am just now. On the island of Lewis where we are about to go to a Free Church wedding where there will be music, laughter and joy. Yesterday I visited a 97 year old Cailleach (old lady). Someone jokingly remarked that I was the man who caused trouble in the church and the lady responded in Gaelic ” oh no dear – he is helping to put it right’. There are those in the Free Church from all areas and ages who have worked for renewal and reform. We are not going back to the deadness and strangulation of the last decade of the 20th Century. This was a disappointing blog from someone who is a brilliant writer and theologian who has so much to offer the church in Scotland – and beyond. But his blog with its swipes at all his pet hates shows someone who is out of touch with what is actually happening on the ground. It is a sad mish mash of unsubstantiated allegations and personal prejudices which does the author no credit. Petty and petulant it shows the Free Church in a bad light and basically seeks to hang a sign above our door – go away if you are going to come in here and change anything! In fact Donald’s post is a sad reminder of why Scottish Presbyterianism is so divided and why some who have left the Church of Scotland have not come to the Free Church – it really does send out a ‘not welcome’ message to people who may not be exactly PLUS (People like us). Instead of this defining in ever narrower terms can we not be more generous in our ecclesiology whilst remaining faithful to our biblical theology? And can we please stop using our biblical theology as an excuse for an ever narrower ecclesiology? Is it too idealistic and too much to hope that, instead of all this ecclesiastical politics and liturgy being determined by what powerful voices like or don’t like and keeping people ‘happy’, we are guided by Scripture in all that we say and do. Is that not what it means to have Christ as the head of the Church? Can we not be more charitable and broad in secondary matters and not turn every issue into a major theological battle? If your conscience doesn’t allow you to dedicate children – fine. Don’t do it. But don’t impinge on the freedom of those of us who are happy to do so. There are those who consciences won’t let them have a coffin in a church, or baptise the child of a non-believer, or eat meat, or take part in a joint service with an RC priest, or wear a dog collar…. (in a game of ecclesiastical bingo, guess which are mine!). But why should my conscience dictate yours? Or yours mine? Is there no room for differences of opinion and practice on secondary matters within the Free Church? And dedicating infants is clearly one of those matters. I do so out of pastoral concern (not to evangelise, proselytise or because of fear of Baptists) and do not appreciate the allegations, accusations and insinuations that Donald has made and others have so eagerly seized upon. It is so depressing. Are we really going to revert to the kind of pettiness that almost destroyed us in the 1990’s? I’m not going there. I’m Free. My chains fell off my heart was free – and I ain’t never going back to the church politics and pettiness that we faced before. I’m an 1843 Free Church man – biblical in theology, radical in ministry, evangelistic in outlook and ecumenical in spirit. Truly and openly Reformed. I refuse to be imprisoned in a narrow deformed ecclesiology that would ban me from allowing parents to publicly declare that they are bringing their children to Jesus to seek his blessing or would seek to impose any restrictions outside those that have come directly from the Head of the Church through his word. So help me God. Dear, O dear. In many ways, I wish I hadn’t seen this. I’ve not read the original blog and don’t intend to are there is so much here that grieves me, so much that is quoted that I trust is not taken out of context. I’ve benefitted much from some of Mcleods books that have caused me to rejoice much in Christ and love Christ more. But there so much here, that to a layman like me is manifestly out of kilter with Scripture and generates a heavy heart, grieves me. May one jot or tittle not be removed from the WCF is the overall message that comes across to me, otherwise, you can not be approved, stamped with the FCS seal, phylactery on your forehead. Then again I’m just a theological dumbo. It reminds me of all that was wrong with Israel that necessitated God’s incarnation, the coming of the Son. He needed to “flesh out,” by way of contrast, all their failings: inward looking, not spreading out the Kingdom, growing by having more children – people personified by Jonah’s heart and outlook and actions. Just as well it pointed the way forward to Jesus as the obedient Jonah, spreading God’s word, the Good News Word, Himself, fulfilling the sign of Jonah. I’m so pleased Mcleod is not heaven’s gatekeeper, so pleased he has taught me to look to Christ for my approval; his approval, mine; his righteousness, mine. That is why one of the most astonishing points, to me, here, is the one about Spurgeon. Is this an afterthought olive branch to Baptists? Will there be distinctions in the presence of the Jesus? If not then, then why now? Perhaps a minor point in all this is pew Bibles and page numbers. Is he really saying Sinclair Ferguson shouldn’t be doing it now or when he was in USA? Maybe it’s because he’s not a Highlander, that he is being wayward. I know now where I’d be welcomed, with nailed pierced open hands, and where I wouldn’t. If I were visiting Scotland, I’d not go there, as I’d not measure up. I do hope and pray that wisdom prevails in the FCS as all this brings no honour to the body of Christ, to Christ Himself. It’s terribly sad to see senior members of the Free Church having these kind of discussions. To see them taking place publicly is even worse and makes those of us struggling in our faith wonder what the point is. “a return to the pre-Reformation worship of saints, angels and the Virgin Mary”. I can’t see how you can return to a situation which never existed. How is this leading to Romanist worship? How indeed. What exactly is ‘Romanist worship’? Would that by any chance be a reference to Catholic liturgy of the Roman Rite, as opposed to Catholic liturgy in the Byzantine, Alexandrian, Coptic, Armenian, Maronite, Chaldean and Syro-Malabar Rites, to name just some of the non-Roman Rites celebrated in the Catholic Church? Re your response to Donald Macleod. The real point is Scriptural warrant. I was secretary of a Baptist church when I rejected the pressure to have a dedication service for my infant daughter, on the grounds that there is no Scriptural authority for such a rite. P..S. I enjoy ‘the wee flea’ and I admire your skill as an apologist for the Faith but on this occasion your argument is poor and your ‘tone’ unfortunate. Thanks Wattie – but there is scriptural warrant – Hannah, Elkanah and Samuel. Jesus encouraging parents to bring their children to him to be blessed. I find it disappointing that people make such a fuss about those who wish to publicly acknowledge their thankfulness to God for their children and to dedicate them to him. As for the ‘tone’ point – I find that really frustrating. Its a complaint that one can do nothing about because tone is perceived and that perception can never be questioned. From my perception, given that Donald was accusing me and others of breaking our ordination vows, going against Reformed worship and proselytising rather than evangelising – I think my tone was rather mild. But never mind the tone – what about the substance?! I wonder whether you would have approved of Jesus’ tone to the Pharisees, Elijah’s to the prophets of Baal or Pauls to the Galatian church?! Talking of the Virgin Mary, who wrote each of the following statements? Yes, you’ve got it. The first six statements were made by the Luther, the seventh by Calvin and the eighth by Zwingli. Donald would be most upset with a Presbyterian minister (now deceased) with whom I was friends, when in ministry myself many years ago. He baptized some adults who were convinced from their reading of Scripture. I read this blog regularly because it appears to me that the author recognises what the apostle Paul did,”…… if anyone is in Christ, he is a new creation. The old has passed away; behold, the new has come”. Parents have different reasons for wishing to have their children recognised and blessed so it is just as inadequate to postulate a single reason for Baptists wanting their child dedicated as it is to imagine that all Free Church members have no ulterior motives when they take vows on behalf of their children. 1. A desire to get unconverted members of their families in under the sound of the Gospel. 2. A desire to show that theirs is a Christian family. How many cultures just will not understand it if there is no ceremony that does not involve the whole family? 3. A desire to introduce a new arrival to the church family. This expectation seems to be foreign to Donald. And here is the difference in reality between our two positions. Whereas he sees the need to provide page numbers and bibles as a downgrade indicating that Free Church members don’t bring their bibles or don’t know where the books of the bibles are, I see a different picture. I don’t expect to have a church where only those who have and know the bible are present. I am thrilled when I meet someone who asks ‘where is Genesis’? I love having non-Christians in church, and Christians who have been starved of good bible teaching. It’s an opportunity not a threat. As a “pagan” :¬) having these indications available during the service is a way of relieving the anxiety felt during an emotive time. I would suggest there is a vast number of the population who are either consously [or not] crying out for moral and spiritual leadership in the face of national and social turmoil that these societal “norms” fail to reach, include or address. apologies for spiffing mistakes ; ) fat fingers and tablet are to blame. I have to say that what Prof Macleod wrote broadly reflected what I’ve been thinking for some time – that the blurring of denominational lines leads ultimately to a blurring of doctrinal positions and then to a downgrade which includes accommodation of conflicting and contradictory views. I’ve read his article several times and I don’t think he got out of the wrong side of the bed, or that he was being deliberately devious or contentious. He sees a moving away from the traditional position of Presbyterianism and the accommodation of forms of service (liturgy) for which there is arguably no Scriptural warrant and voiced his concern. I was quite encouraged by it. How sad that you think in order to have good biblical doctrine we have to have denominations! That is not what the Bible – nor indeed any of the Reformers taught. And the link between denominations working together and doctrinal downgrade is not clear at all. He is was making up the motivations of those who permit infant dedication – and why do you think he threw in a dozen other personal things he dislikes (from trainee ministers to pew bibles?!)? The notion of Donald as a defender of traditional Presbyterianism is quite amusing. As for the notion that there is no scriptural warrant for praying for children in a service or parents dedicating their children – I don’t agree! And Donald’s post was not about his concern over infant dedication – which is not an issue in his congregation…it was just a useful hook to hang a whole lot of complaints and have a go…. But in the UK we do not have the opportunity to gather crowds and gain influence. 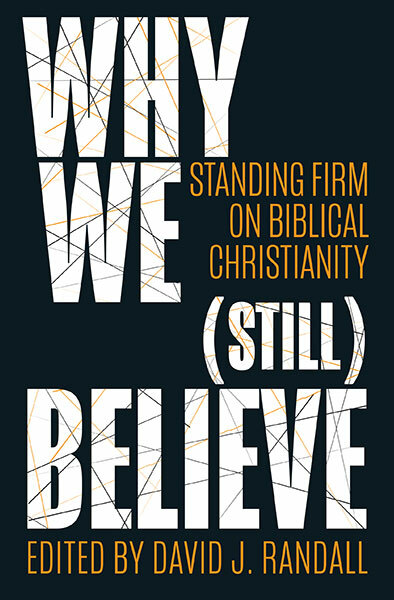 What I have heard are men glorying in their vanishingly small numbers as evidence of faithfulness. I have a cautionary tale to tell. One day a man walked in to our chapel in North London. He had heard from neighbours that we were a gospel church and he stayed with us for some time, obviously enjoying all the parts of our meetings. It seemed that his wanderings might be over. Then he went to a conference in Northern Ireland where some of the other attendees lost no time in pursuading him of the necessity of exclusive psalmody. Now I’m sure that these people were well-intentioned but I doubt if they knew what a burden they were putting on to this man’s back. He struggled on with us for a while, sitting silently while we stood to sing and standing among a seated congregation while we prayed but it couldn’t last. Eventually, he took himself off to Whitechapel, nearly coming to grief because nobody had warned him against using public transport to get there. We were not so large in numbers that it didn’t really hurt us. Be careful of the collateral damage caused by impractical advice, however well-meant. Lowlandseer: I don’t think the Piper article reflects adequately what is going on here in this blog of David’s. It speaks of an irreducible Protestant stance on the doctrine of salvation and seeks to address the fall in Protestantism in the USA. That is not an issue here. Is the “crowd” that worship at St Peter’s remotely in view in the Hezekiah scripture? In fact, the opposite is true. They are seeking to increase the Kingdom of God, by remaining faithful to scriptural doctrine, as any listen to one of their services and sermons shows. Just listen to Sinclair Ferguson’s Sermon on John 3 above and be humbled by the reverent weighty exposition, that is at the same time simple, but only simple to understand if we are not like Nicodemus. With respect to David and Sinclair Ferguson, I doubt that either would see themselves “younger evangelicals”. And isn’t Piper a Baptist? Does he see baptism as a secondary issue? It seems to me as an outsider, that what is at stake here is not the future of Protestantism but in-house Scottish Free Church Presbyterian, politics, or distinctive. It is a far cry from the declension in irreducible Christian doctrine that is being played out the CoS, which is a proper application of Piper’s article. I can’t agree that Prof Macleod was making up the motivations in order to air his personal grievances. There are legitimate concerns about the use of pew bibles, trainee ministers and worship bands. I do agree with you when you say that the idea of Prof Macleod as a defender of traditional Presbyterianism is quite amusing particularly when I am the one saying it! It really is a funny old world. Having said that, I’m not a Free Church member or adherent but it looks to me, as an outsider, that there is a bit of a power struggle going on there. Perhaps the way forward would be for the Free Church to convene to discuss these matters. I’m not a believer in infant baptism, nor for that matter a member of the Free Church but if, as I understand to be the case, the Free Church would place a high importance on people being obedient to scripture, and therefore being biblically convinced about a given issue in order to be in faith in carrying out that obedience, I am converned about the suggestion that parents who decline to have their children baptised are sinning. Where would that leave parents who strongly believe in obedience to scripture but are convinced that it does not teach or support infant baptism? Is Donald Macleod suggesting that those parents should go against their conscience and faith on this issue? Where does that leave ‘whatever is not of faith is sin’? Did I not read of the Rev Alastair Ross mentioned ?. Ah , what memory he conjures , thrilling and filling my soul with the Word of God as though I could not get enough on a spoon big enough to fit my mouth. While I understood all of the argument above , this was all I wished to say ! Ok….. cancel the above ! If someone holds infant baptism to be unbiblical and, in furtherance of their rejecting of this biblical doctrine, one were to officiate over a dedication service that they choose precisely and deliberately because it is not the infant baptism they reject as unbiblical, then I am participating with them and endorsing their unbiblical rejection of infant baptism. If we believe in the Covenant at all then we must see that to provide any alternatives short of what is demanded and required by Covenant stipulation in Scripture is to implicitly reject the terms of the Covenant itself. If parents cannot nor will not embrace the Covenant stipulations required by the LORD then we should not be providing some kind of Covenant-lite alternative for them. It is better to please God than man.